Dallas County, Texas: Genealogical Data from Early Cemeteries. Joseph S. Sanchez, Uncle, M, 1826, 74, Sng, FL/FL/FL, Real Estate Agent. Herburt Harris, Cook, M, Black, 35, Sng, TX/TX/TX. Frances M. Waldron, 22 Oct 1834 – 19 Jan 1921. Correspondence from Ruth Allison Waldron Hill, (Collection of Letters between Hill and Hopkins), to Elizabeth Hopkins, 1950-1952, Repository: LDS Family History Library - Salt Lake City, Call No. Film 164,482. Carl G. Spence, 1905 – 1945. William Neutton Culpepper, born 9 Jan 1904 in Fannin Co., Texas (This is actually the birth record for William Newton Culpepper's daughter, Ida). Ida E. Culpepper, 9 Jan 1904 – 11 Oct 1906.
, Callie Baggett Culpepper Bible. Robert Culpepper, 26 Aug 1882 – 28 Sep 1882. E-mail written 2000-2004 to Lew Griffin from Leesburg, VA Kathryn Ruth Brice, Leesburg, VA, e-mail address. Jimmie Brice, Son, M, W, 1, sng, AL, AL, AL. E-mail written 1999/2000 to Lew Griffin from Jennifer Walker (Mrs. Harry Walker), e-mail address (Jan 2010). Langston Culpepper, 218 38th St, Fairfield, Jefferson Co., Alabama, age 23, born 10 Jan 1894 in Lower Peachtree, Wilcox Co., Alabama, Employed as a Laborer by the Tennessee Coal, Iron and Railroad Company, Fairfield, Jefferson Co., Alabama; Single; Black; No prior military service; No exemption from service claimed; Short height, Stout build, Black eyes, Black hair, Not bald, No disabilities. Registered 5 Jun 1917 at Birmingham, Jefferson Co., Alabama. Will Culpepper, 1853 18th St, Ensley, Jefferson Co., Alabama, age 23, born 27 Jun 1891 in Lower Peachtree, Wilcox Co., Alabama, Employed as a Crane Helper at the Steel Plant of Tennessee Coal, Iron and Railroad Company, Ensley, Jefferson Co., Alabama; Single; Black; No prior military service; No exemption from service claimed; Medium height, Slender build, Brown eyes, Black hair, Not bald, No disabilities. Registered 5 Jun 1917 at Birmingham, Jefferson Co., Alabama. Amy R. [McCowen] Culpepper, F, 23 Apr 1885, Alabama, 12 Sep 1953, 68Yrs, Taylor. Moses Culpepper, Black, born 29 Feb 1888 in Lower Peach Tree AL, registered in Santa Rosa Co., FL. E-mail written 2001 to Lew Griffin from Kerri Culpepper. E-mail written 1999, 2000 to Lew Griffin from Todd Culpepper. Josie Culpepper died 12 May 1909 in Pike Co., Alabama. + Josie Culpepper, 11 Sep 1888 - 12 May 1909 (w/o W. M. Culpepper). + Lester J. Culpepper, 13 Sep 1910 - 18 Oct 1982 "Our Father"
+ Mertice M. Culpepper, 23 Nov 1916 - 28 Jul 1969 "Our Mother"
+ William H. Culpepper, 29 Oct 1937 - 30 Sep 1940. Howard Culpepper died 30 Sep 1940 in Pike Co., Alabama. Obituary* 10 Dec 2007� Evelyn L. Culpepper, 90, of Banks died at Baptist Medical Center South in Montgomery, Thursday, December 6, 2007. Visitation will be held at Dillard Funeral Home in Troy on Friday, December 7, 2007 from 6:00 PM until 8:00 PM. The funeral service will be held at Dillard Funeral Home Chapel in Troy on Saturday, December 8, 2007 at 11:00 AM with Reverend Earl Oaks and Reverend Donnie Dunn officiating. Burial will follow at Sandfield Cemetery. The family request that memorials be made to the Sandfield Cemetery Fund. The honorary pallbearers will be Michael Dunn, Brad and Barclay Brown, Dr. Wiggins, Dr. Alan Young, Walter Caddell, Michael Morgan, Jeff Wyatt, Billy Finch, Jeremy Brown, Christopher Clough, and Robert Clough. 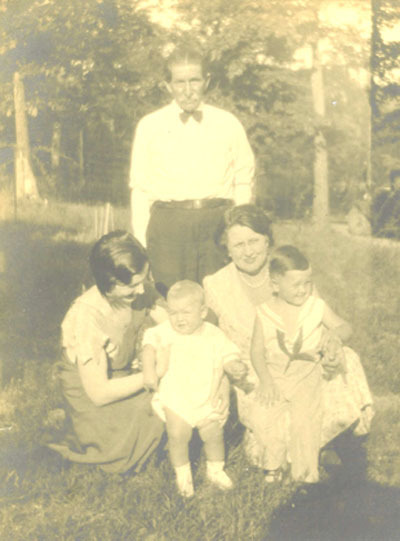 Mrs. Culpepper is survived by her daughters, Shirley (Thomas "Jack") Dunn of Pensacola, and Eva Willodean Truitt of Troy, long time friend and companion, Harold Helms, step-sons, Jeffrey (Jackie) Helms, and James (Brenda) Helms, sisters, Oline Vinson of Corinth, and Bessie Mae (John Owen) Freeman of Texas, brother, William (Frances) Meredith of Phenix City, sister-in-law, Evelyn Meredith, 8 grandchildren, Connie (David) Robinette, Donna (Robert) Clough, Vicki (Jeff) Wyatt, Pam (Walter) Caddell, Cindy (Michael) Morgan, Michael (Nancey) Dunn, Barclay (Lisa) Brown, and Brad (Kerri) Brown, 11 great grandchildren, 5 great great grandchildren, several nieces and nephews, and 2 step-grandchildren, Derek Helms and Tabitha Helms. She was preceded in death by her husband, William Otha Culpepper, son, Luther Culpepper, parents, Tilbert and Willie Collins Meredith, sisters, Jewell Elliot, and Pearle Dease, brothers and sister-in-law, Archie Meredith, James and Alice Meredith, and Floyd Meredith, and a son-in-law, Floyd Scott Truitt. 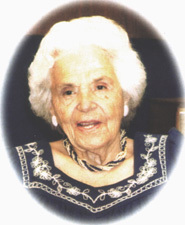 Obituary of Evelyn L. Meredith Culpepper (#38160), published 10 Dec 2007.